MSL was launched atop an Atlas V-541 Launch Vehicle operated by United Launch Alliance from Space Launch Complex 41 at Cape Canaveral Air Force Station, Florida on November 26, 2011 at 15:02 GMT. The Phase began when the Spacecraft switched to internal power just prior to the automated sequence of the countdown that started at T-4 Minutes and Counting. It ended when the spacecraft was declared healthy and in a condition in which it accepted and processed commands. Also, the launch telemetry had to be completely played back for review by engineers to identify any off-nominal ascent and insertion events. MSL was able to launch during a period from November 25, 2011 to December 18. The Atlas V will began its powered Ascent on the first stage with 4 ground-lit Solid Rocket Motors which burned out and fell away 90 seconds in the flight. After the first stage had completed its job, it separated from the rest of the rocket and the Centaur Upper Stage continued powered flight. MSL was be inserted into a circular parking orbit for a coast phase. When coasting was complete, Centaur ignited its RL-10A Engine again and injected the spacecraft into its desired trajectory to Mars. The spacecraft separated from the Centaur and the Deep Space Network acquired the signal shortly after successful spacecraft separation. An initial vehicle status poll was performed to point to any immediate hardware problems. Also, post launch commands were executed that had loaded into the system prior to blastoff to configure for initial cruise operations. 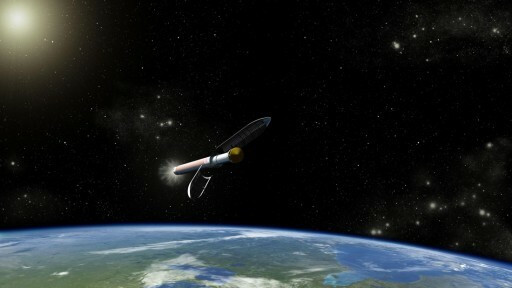 The Cruise Phase starts shortly after insertion when the vehicle successfully completes the launch phase of the mission. At its end 45 days prior to Entry, it transitions to the Approach Phase. The phase is characterized by extensive vehicle checkouts and maintenance operations. Also, subsystem monitoring and calibration will be performed during cruise. Numerous attitude correction maneuvers will be performed to keep the solar array pointed toward the sun and align the Antenna for proper communication capabilities. Navigation Operations will also be conducted, including 6 planned Trajectory Control Maneuvers to maintain an exact course towards the targeted landing area. At the end of the phase, preparations for Approach, Entry, Landing and Landed Operations will be in full swing to configure and test systems needed during this crucial phase of the flight. Science operations during cruise will be fairly limited. Only RAD will assess the radiation environment that the spacecraft experiences while flying through space. The Approach Phase begins 45 Days prior to Entry. It ends when the Spacecraft hits entry interface. This phase includes the final set of TCMs to precisely adjust the path of the vehicle to hit the exact Entry target which carries MSL to its desired landing spot. Attitude pointing changes will be made when necessary to ensure solid data communications and proper solar array alignment. A Delta DOR measurement will be made to monitor the spacecraft’s position. At the end of the phase, the entry software package will be started to enable the autonomous entry sequence. Pre-defined commands will be automatically executed by the system during entry and landing procedures. All parameters concerned with entry and landing are verified and updates to make sure the vehicle has correct reference data to initiate commands from are uplinked. Shortly before entry, the spacecraft will be put into the proper attitude for entry. The Cruise Stage will separate just prior to entry interface. 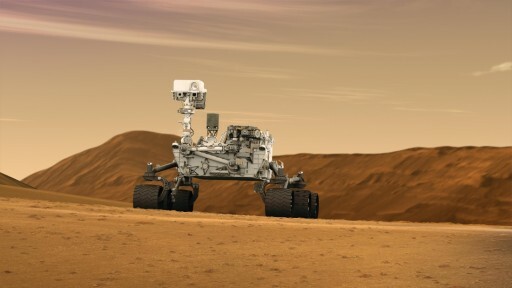 Also, well before entry, surface sequences and the first set of communication windows will be uplinked to the rover to prepare for initial surface operations. During the approach phase, DSN Coverage of the mission will be increased to get exact trajectory information and enable engineers to develop more refined trajectory solutions leading up to entry. The Cruise Stage was needed during the Cruise Phase to control the vehicle, perform engine burns and communicate with Earth. It is separated by pyrotechnics marking the end of the Pre-Entry Phase and the start of the Exo-Atmospheric Entry Phase. 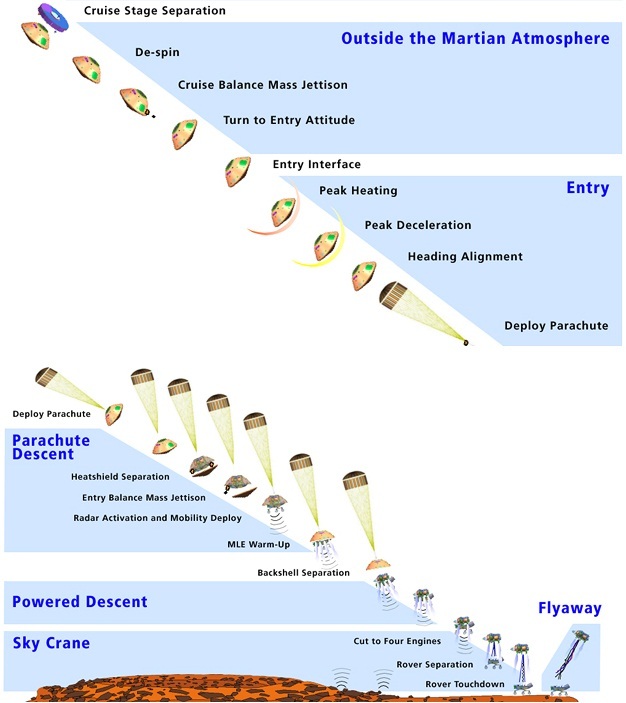 At that point, the Aeroshell, the Descent Stage and the MSL Rover perform a de-spin maneuver and make a re-orientation to achieve the proper Entry Attitude. Also, the vehicle jettisons two weights to generate a Center of Gravity Offset. Entry Interface occurs at an altitude of 125 Kilometers and MSL begins a guided Entry Process going through Peak Heating and Peak Deceleration. Once the Hypersonic Aero Maneuvering Portion of the Descent is complete and the Center of Gravity Offset is eliminated, the vehicle deploys its large parachute to slow it down further. 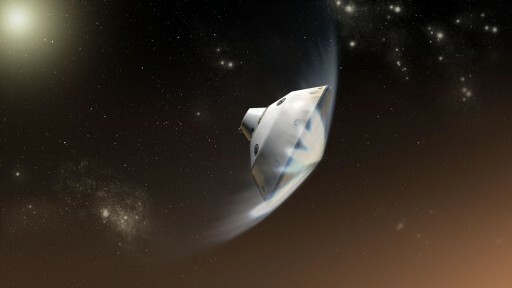 Once reaching a safe velocity, MSL drops its Heat Shield exposing the Landing Radar. 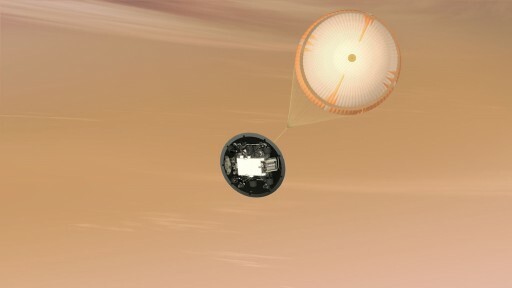 Once at a Speed of 120 Meters per Second, the Descent Stage and Curiosity Rover separate from the Backshell and begin the Powered Descent Portion of the EDL Phase. 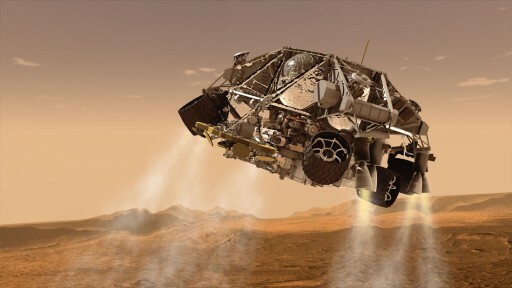 The vehicle uses its Mars Landing Engines to reduce its Horizontal Velocity to Zero and make a vertical descent using its Landing Radar and slowing down to about 0.75 Meters per Second. 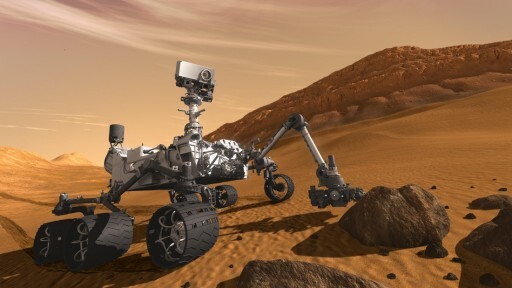 At an Altitude of 20 Meters, the Curiosity Rover Separates from the Descent Stage and is lowered on bridles. This Sky-Crane System is used to avoid any contamination by the Mars Landing Engines and to prevent a large dust cloud around the vehicle. 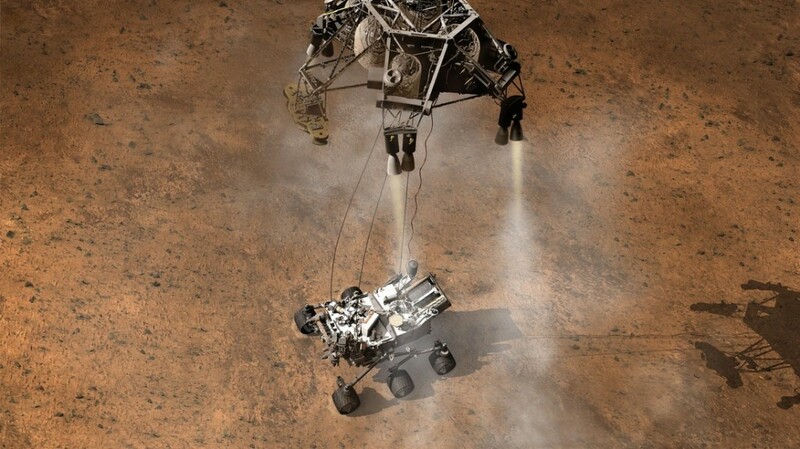 While being lowered, Curiosity deploys its Mobility System (its Wheels which also function as Landing Gear). 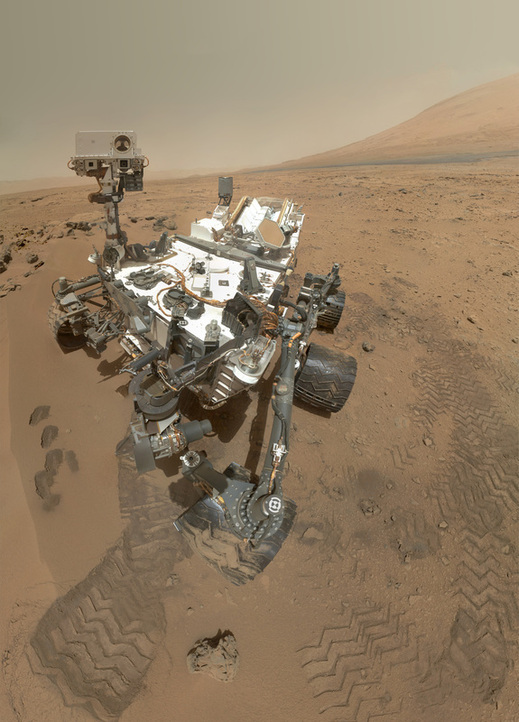 When Curiosity achieves contact with its Wheels on the surface of Mars its computers make sure that contact has indeed occurred and initiate the separation of the Descent Stage. The Descent Stage then throttles up its engines and performs a fly-away maneuver to retreat to a safe distance from the landing site for its crash landing. 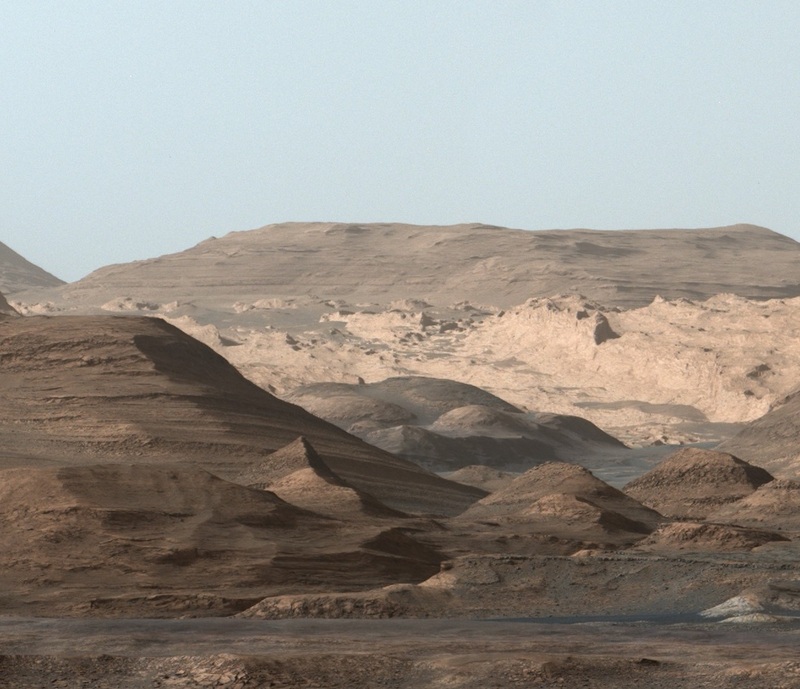 At that point, Curiosity is switching from its EDL Mode to the Landed Mission Mode starting Sol 0 Operations which marks the end of EDL and sets the stage for MSL’s two-year landed mission. Temperature sensors become active and the Thermal Control System adjusts to the new environment, keeping all equipment within Red-Line Temp Limits. Also, HazCam Footage is acquired and prepared for downlink. 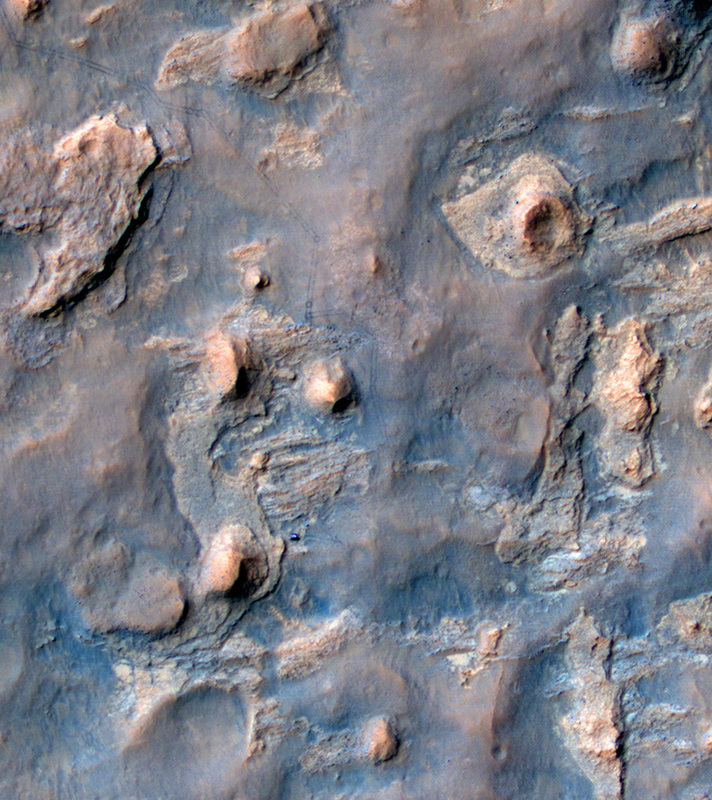 The first larger data package is planned to be downlinked to Earth about 12 hours after landing when the Mars Reconnaissance Orbiter passes over the landing site. The first priority for the mission team is to gain understanding in the immediate surroundings of the Rover making sure that the landing zone is known and that the situation the Rover is in (Systems Status, Landing Zone, Hazards in the vicinity, etc.) is fully understood with Curiosity being in a secure configuration. Also being looked at, is the surface directly underneath and around the rover to make sure there is no immediate threat. It could take up to five days to complete initial checks and validations. To achieve solid communications, MSL deploys its High Gain Antenna some time after landing. 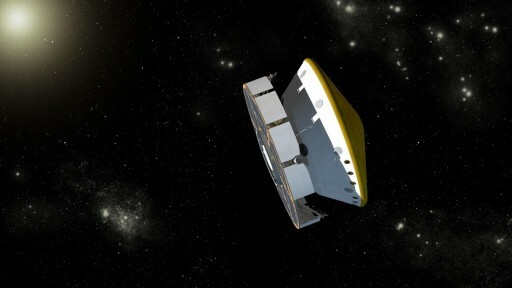 After that, Curiosity is given the Green Light to deploy its large Mast and Sampling System including the Robotic Arm. The navigation cameras take images of the sky to calculate the position of the sun and the High Gain Antenna is pointed towards Earth for more stable communications. After the first 5 Sols, Subsystem and Instrument checks are in progress. The first drive of the vehicle is expected about 1 week after landing. As the Science Mission gets underway, more tests of the instruments are performed before actual sampling operations can begin. 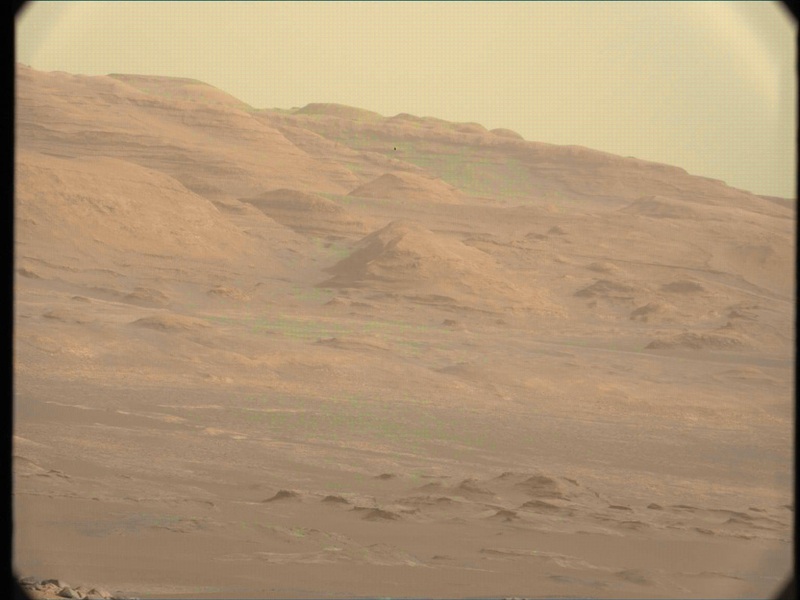 The surface operations phase extends from the First Drive to the End of the MSL Mission. 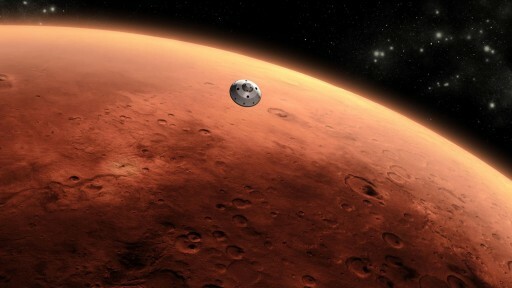 The primary planned mission will have a duration of 1 Martian Year – ~2 Earth Years. 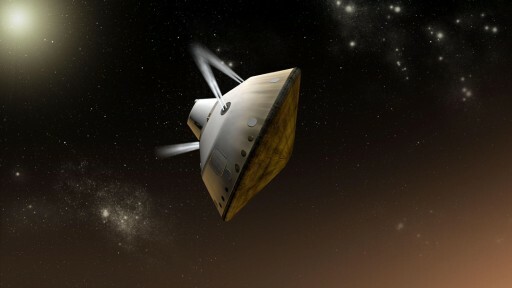 It is expected that MSL will drive a distance of at least 19 Kilometers (12 Miles) during its mission.